Work in progress shot of today's piece. I think I will be going with this style for the next exhibition/display. Going for a more realistic style...I still made the eyes too big though. I really do have a thing for big eyes. 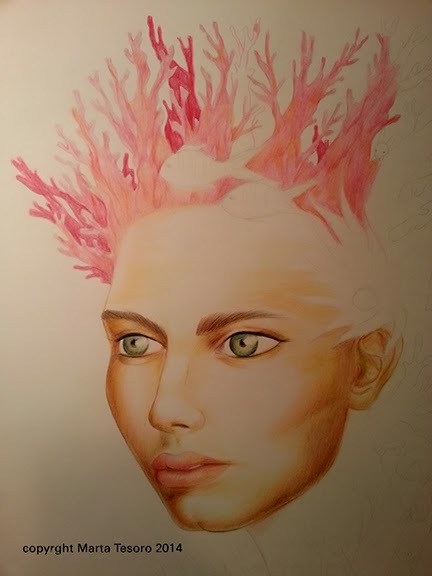 I am using colour pencils as well and it's been years since I've used them. Going to the art shop tomorrow to buy a set of Faber Castels. I am back to work on Monday. Boooo! I wanna stay home and keep drawing!